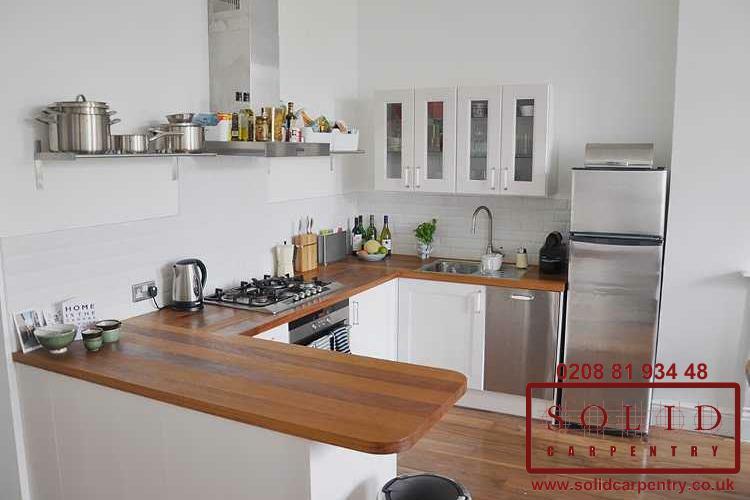 If you love to cook, host dinner parties, or simply enjoy a stylish and well-designed living space, then consider what a bespoke, fitted kitchen could do for you. 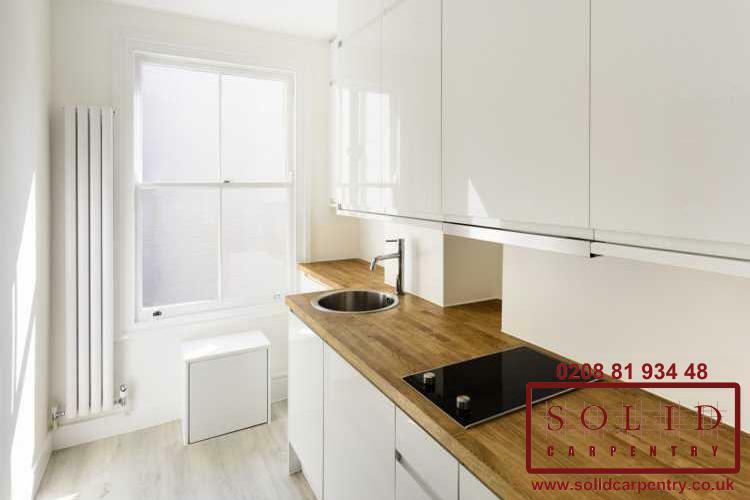 A kitchen, designed, built and fitted to your exact specifications, taking into account how you like to navigate your space, allows you to choose the location of each individual cupboard, drawer, shelving unit and much more. 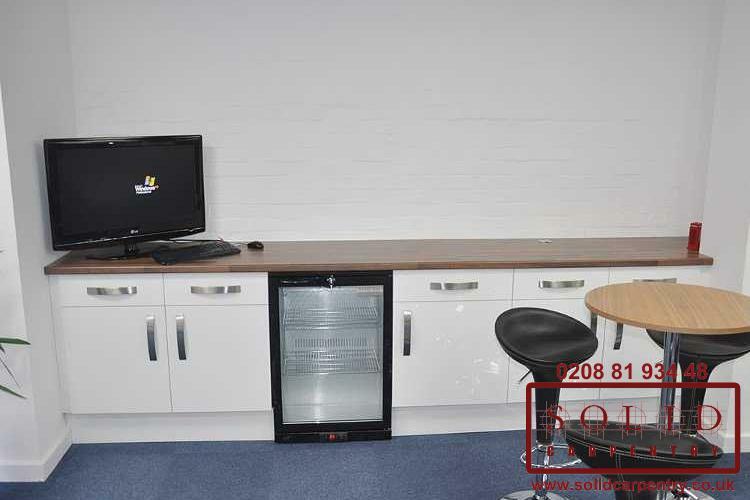 Always fancied an island? 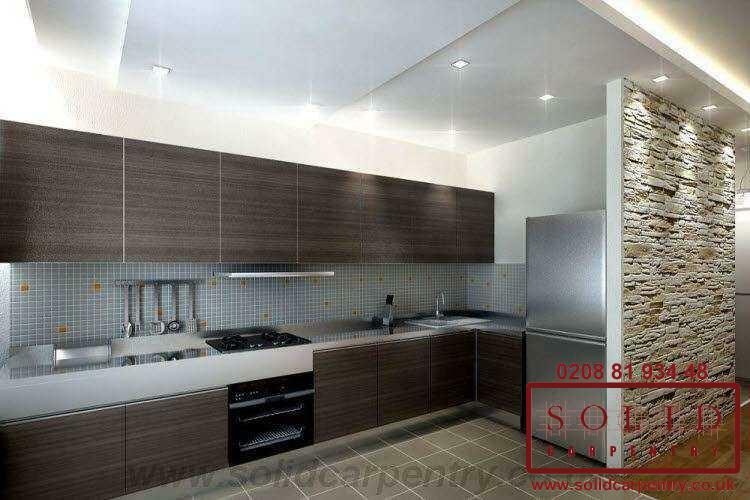 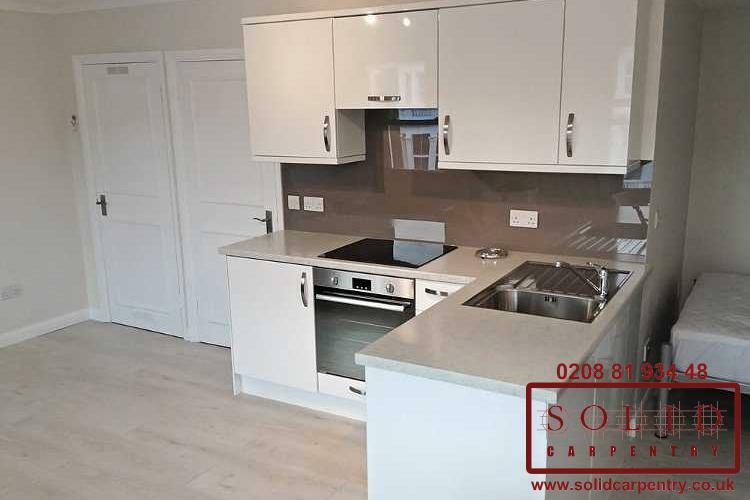 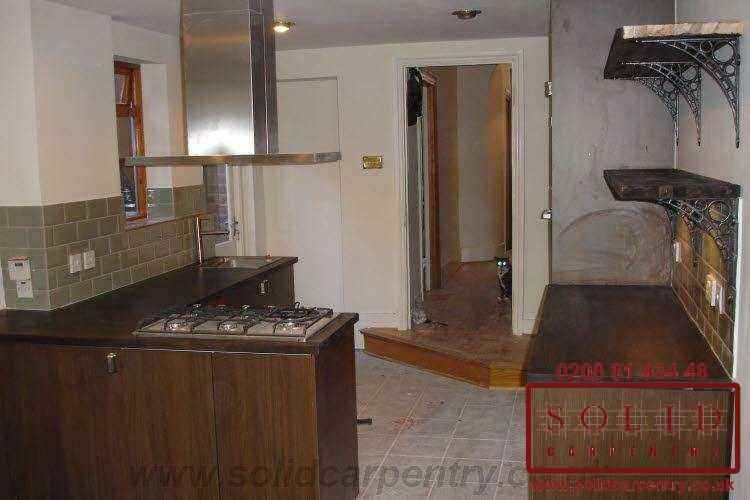 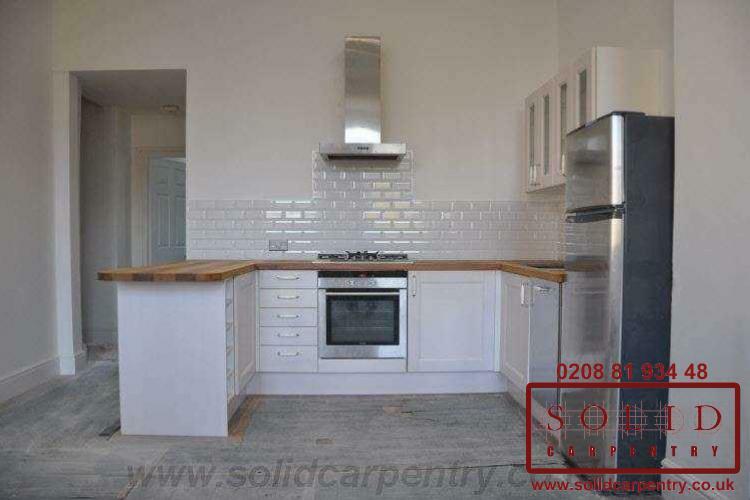 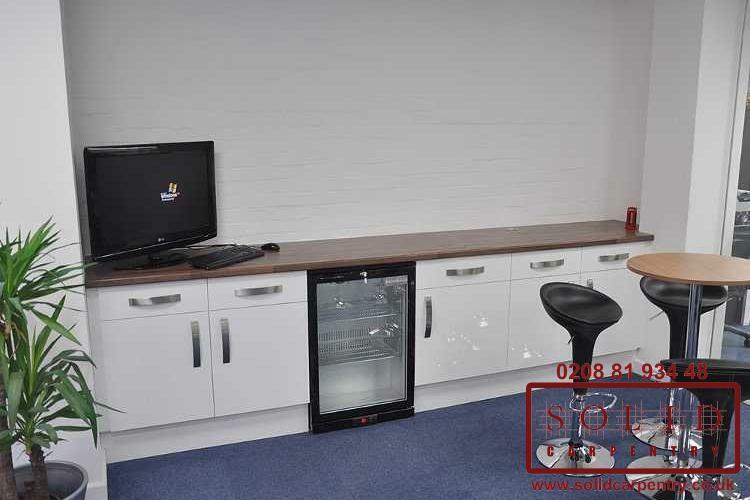 Working with the team at Solid Carpentry kitchen fitters means you can have the kitchen you’ve always envisioned. 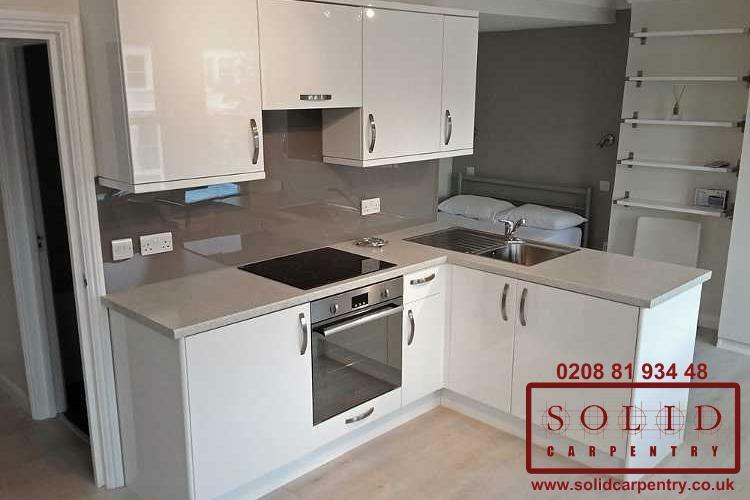 Our team of specialists will work closely with you from start to finish, advising on the best materials to use to ensure you achieve a premium quality kitchen at an affordable price. 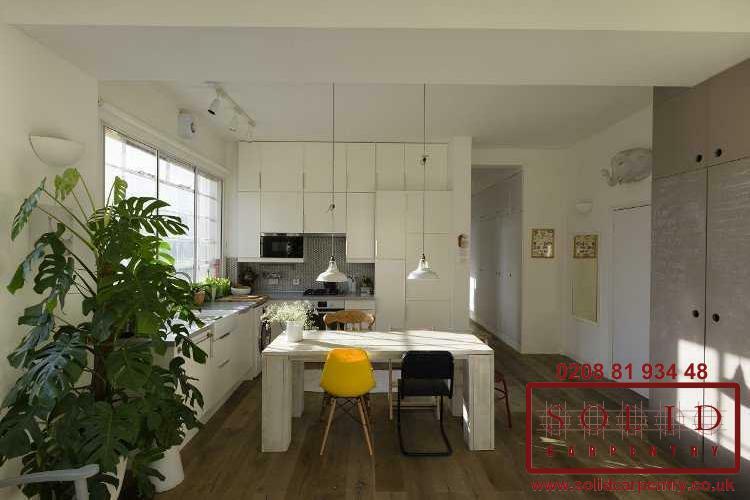 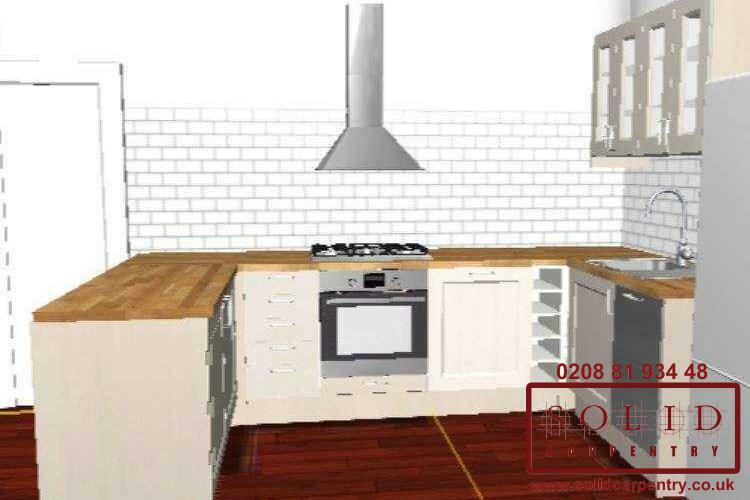 We will provide detailed blueprints and where necessary computer-generated images so you can see your designs on paper and make any tweaks before kitchen fitting begins. 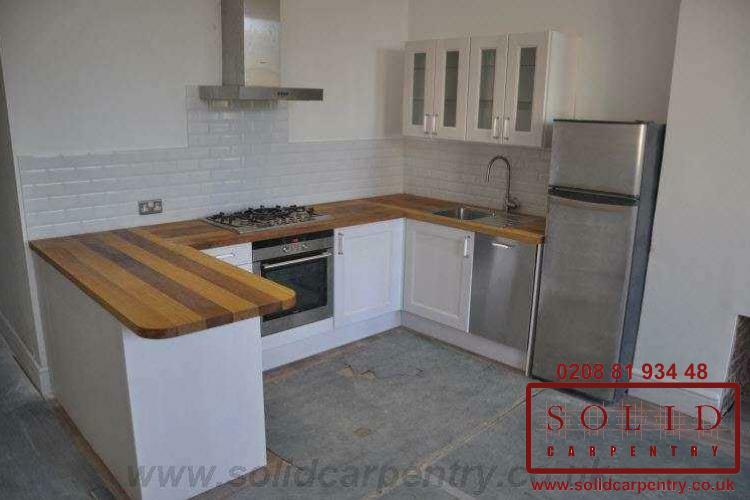 We understand designing a new kitchen can be daunting but you can rest assured we will advise and support you at every step of the process. 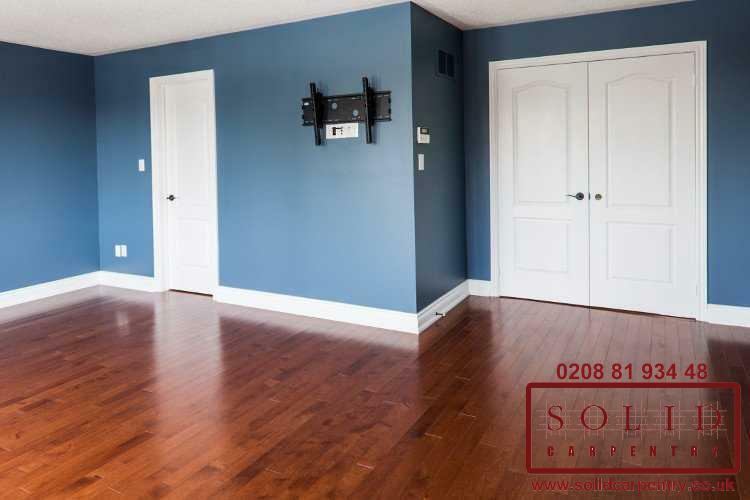 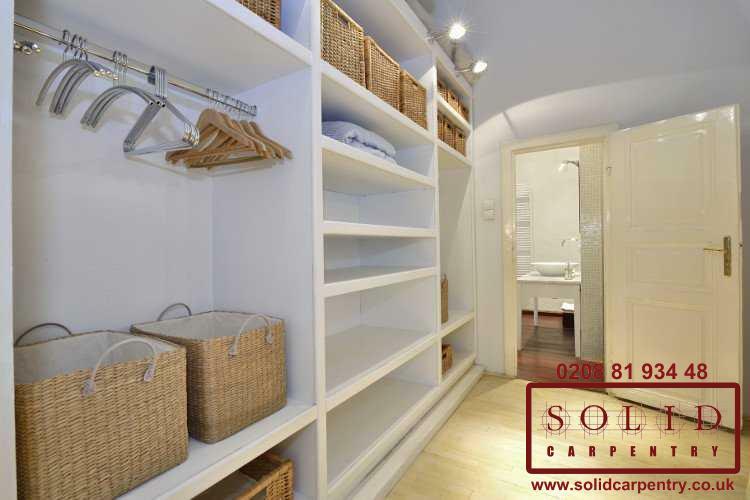 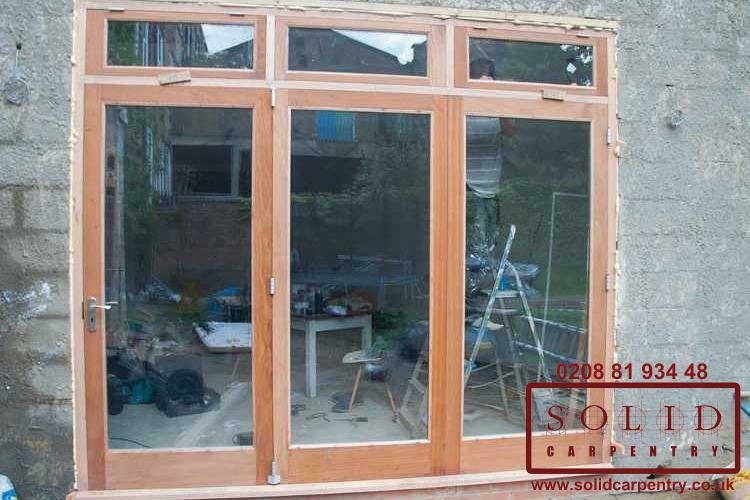 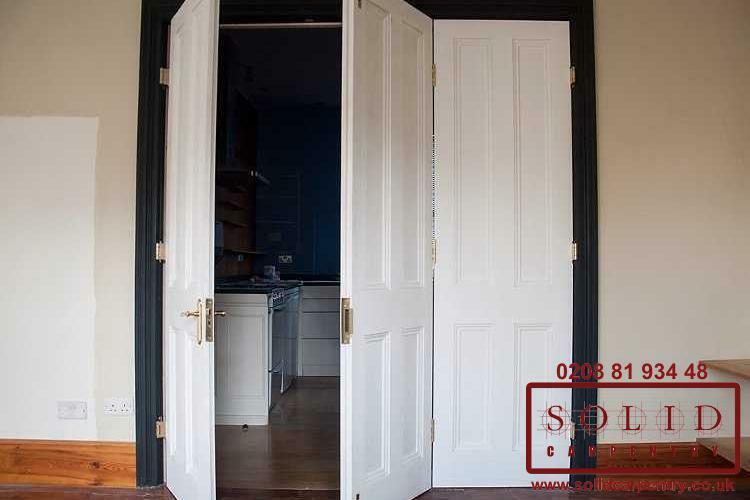 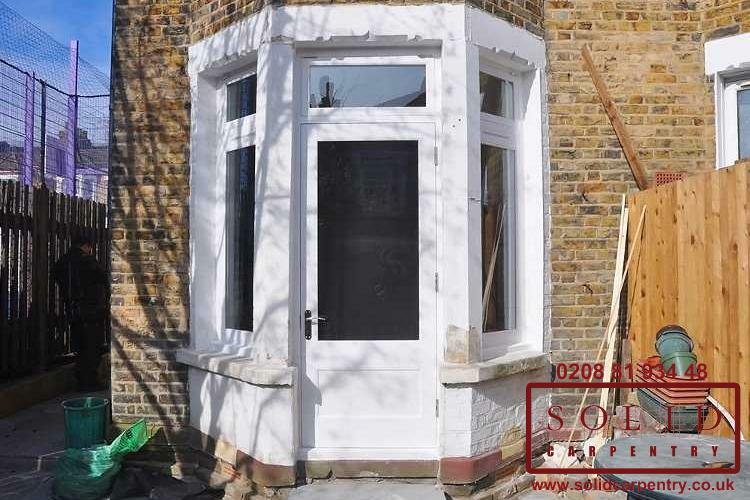 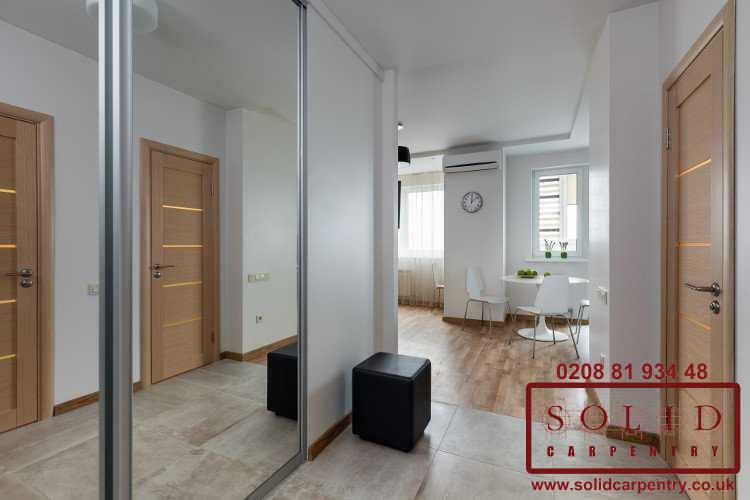 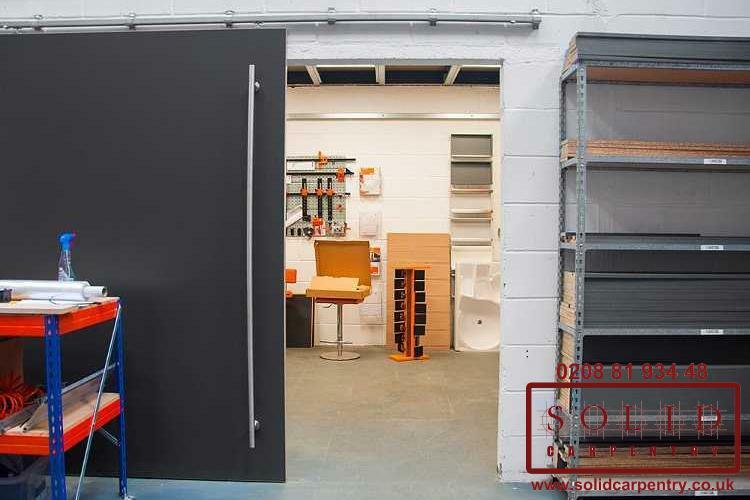 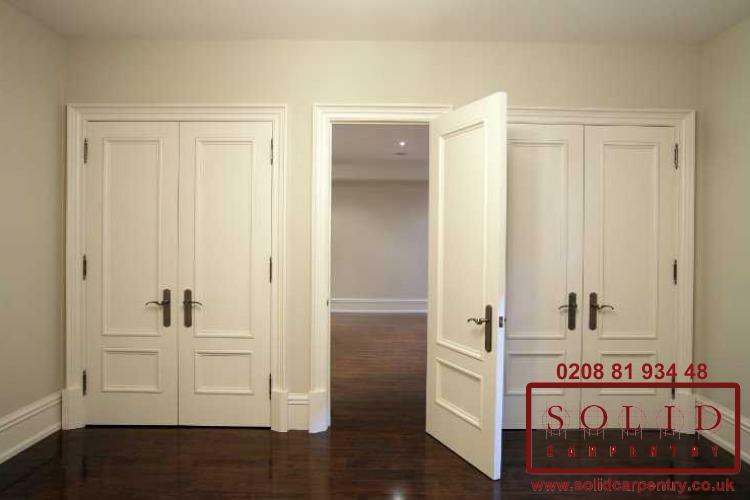 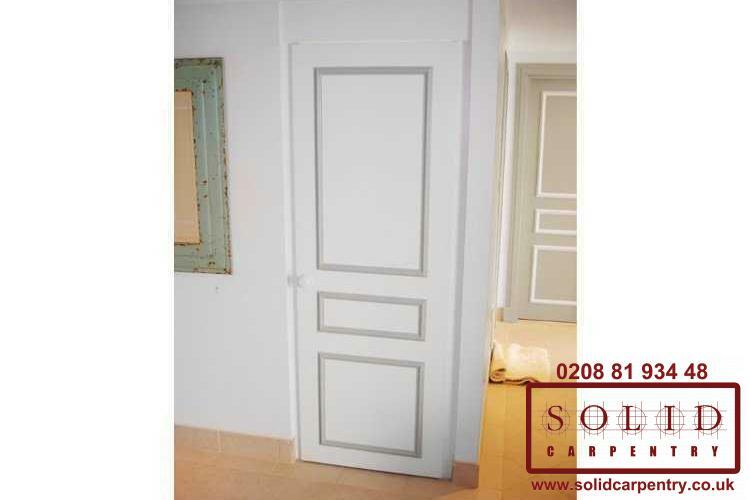 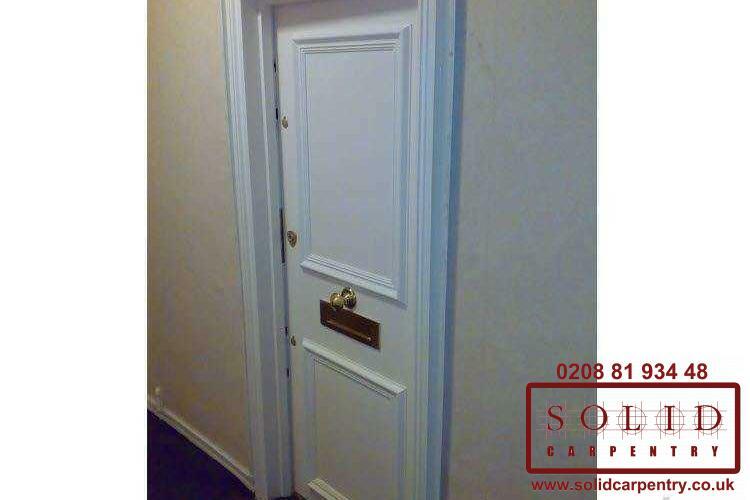 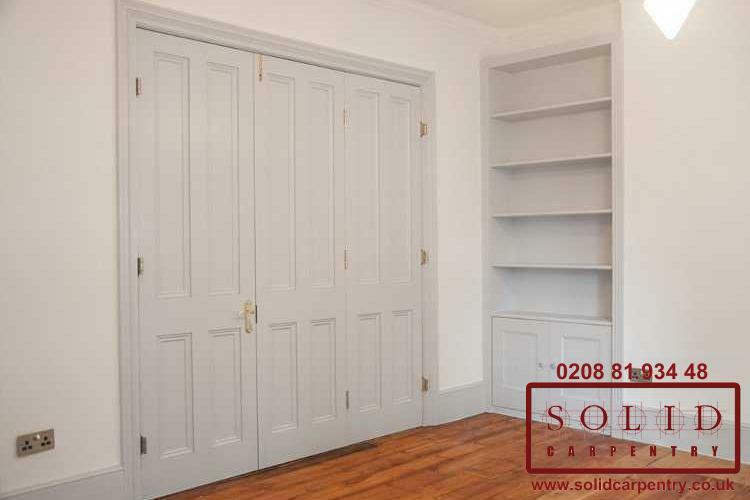 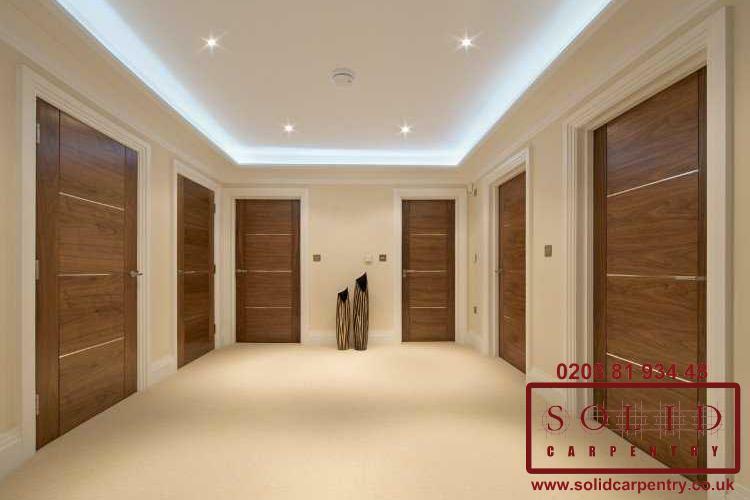 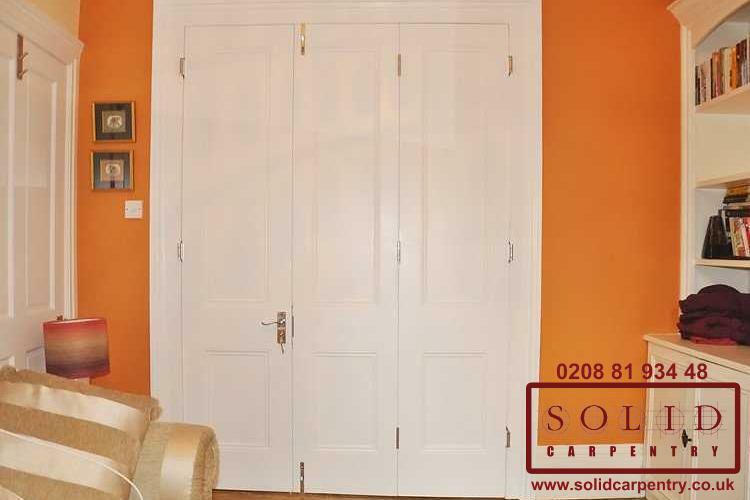 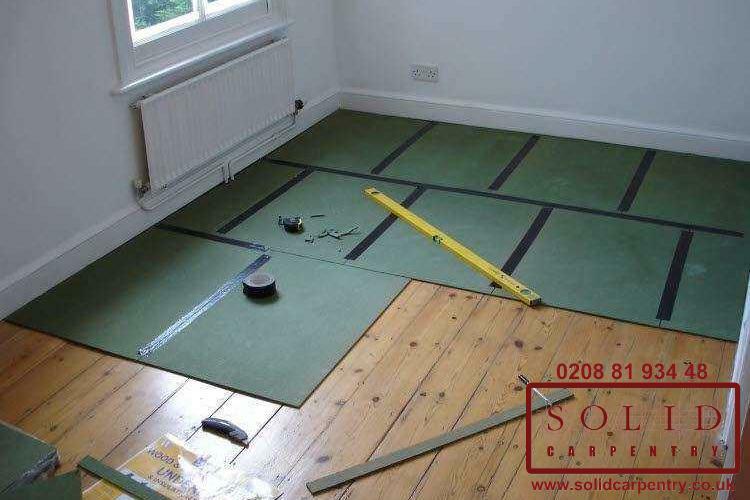 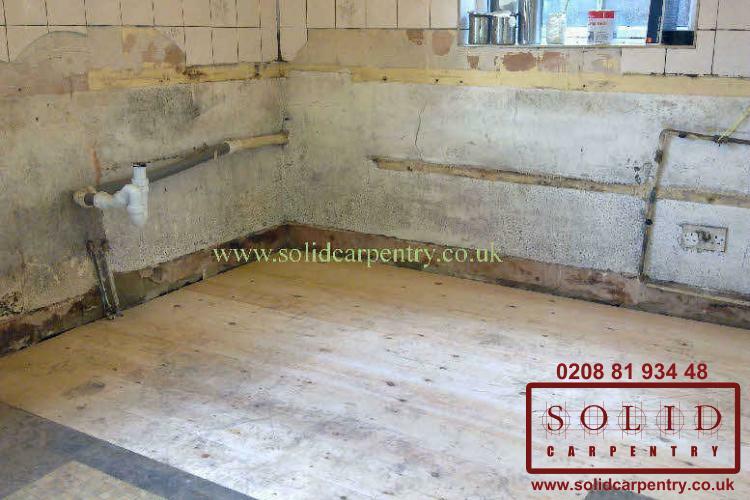 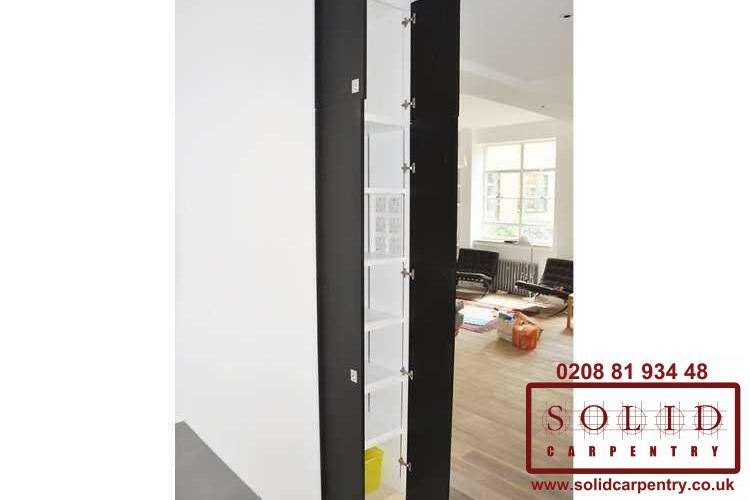 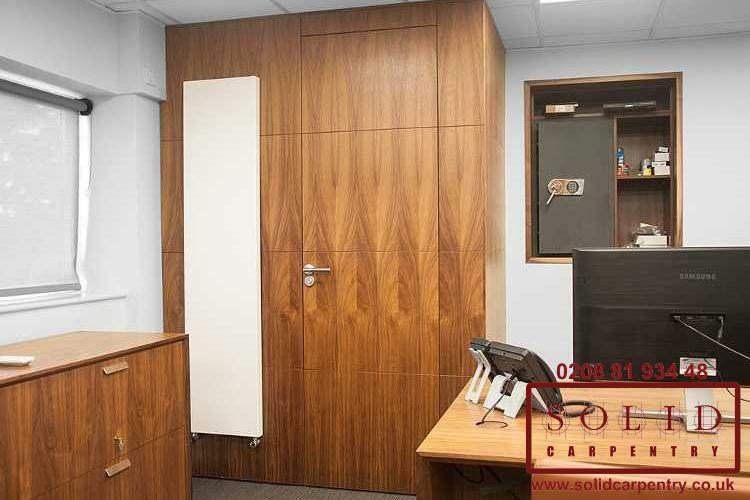 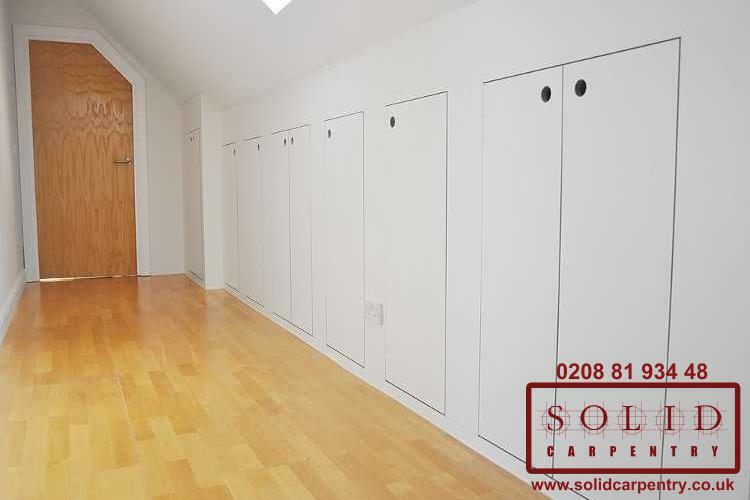 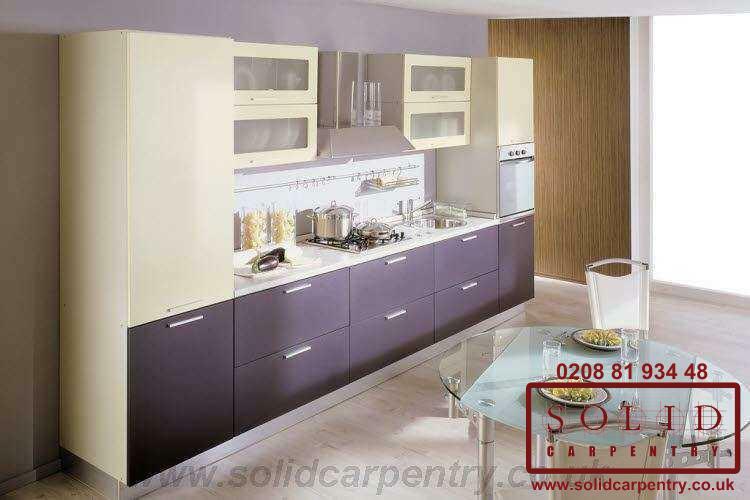 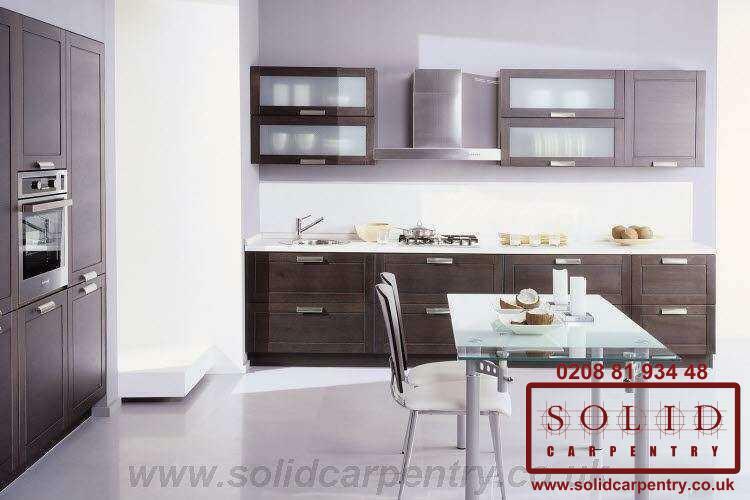 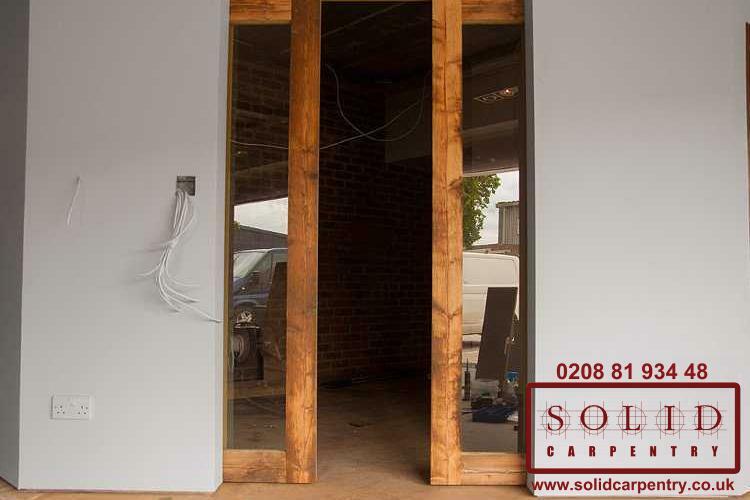 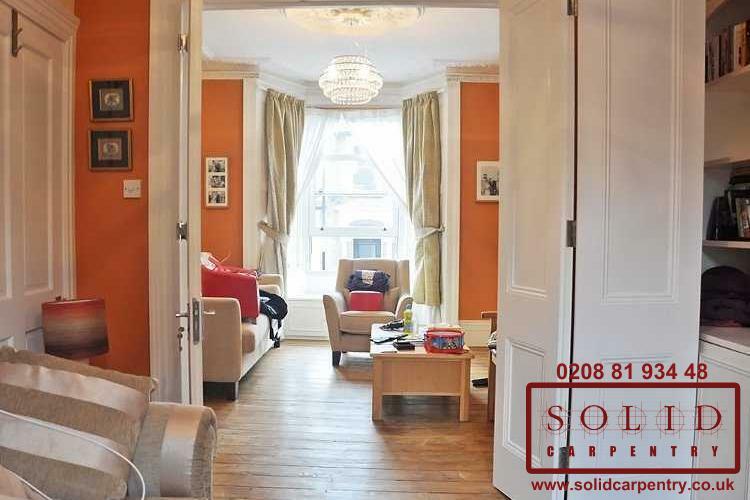 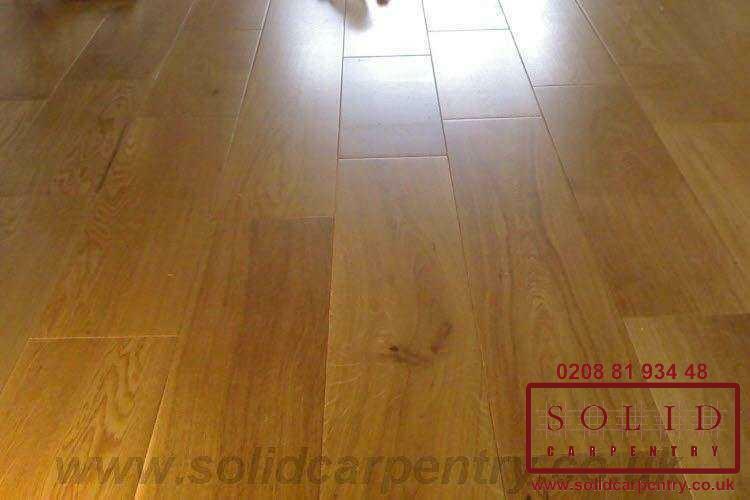 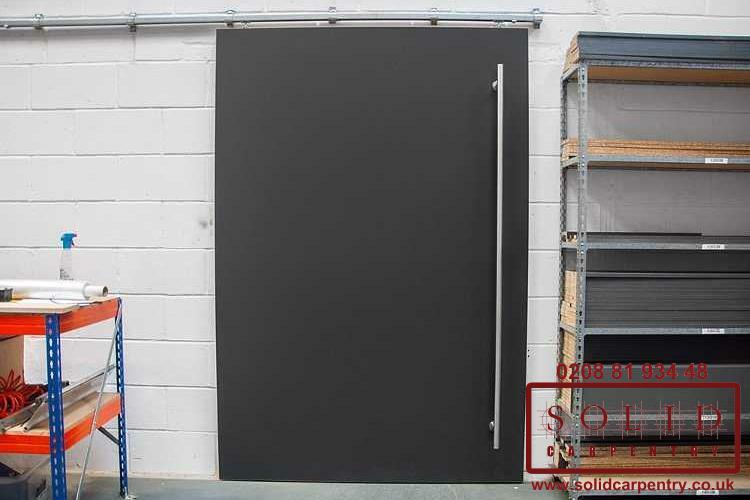 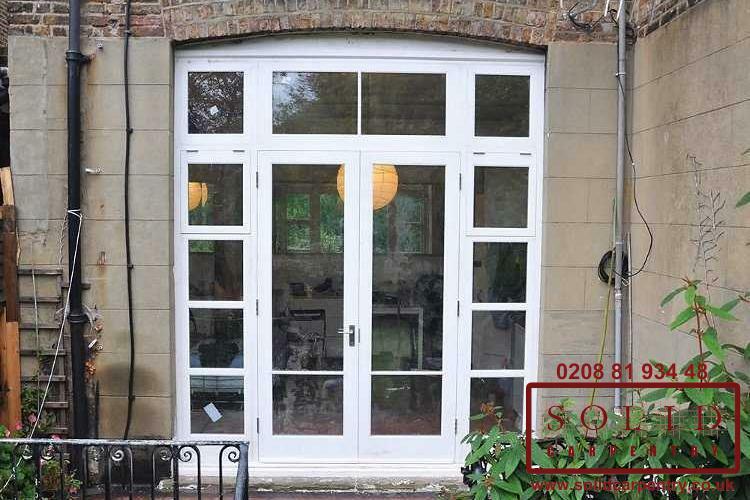 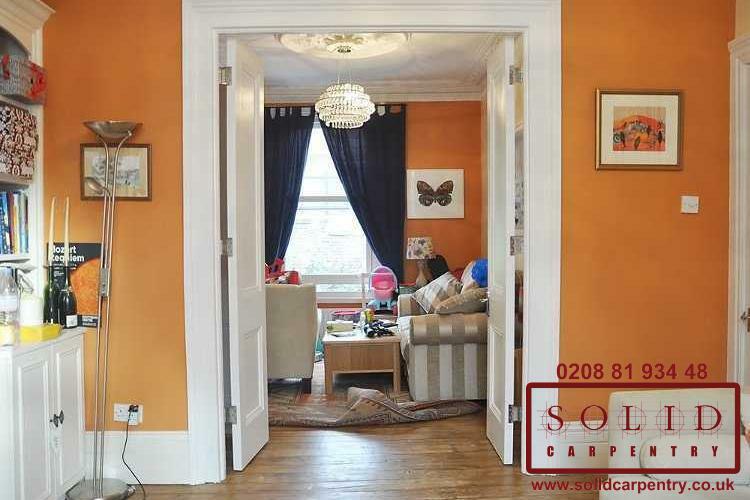 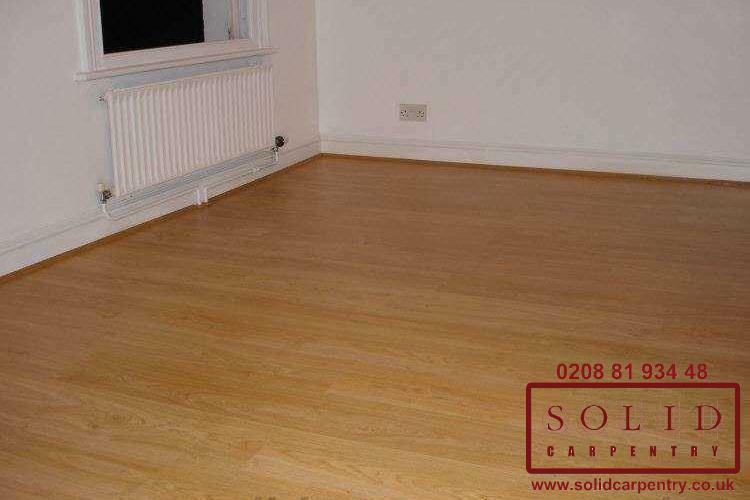 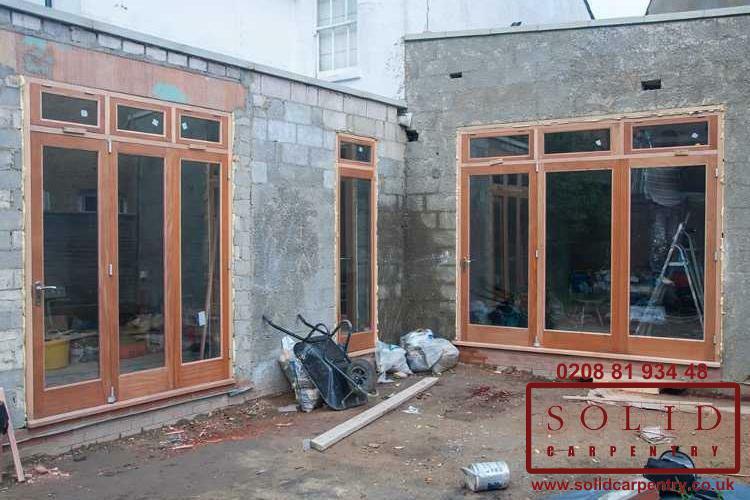 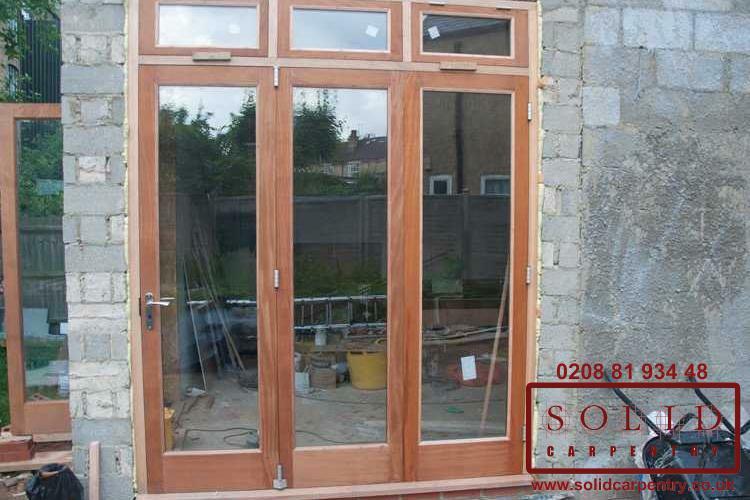 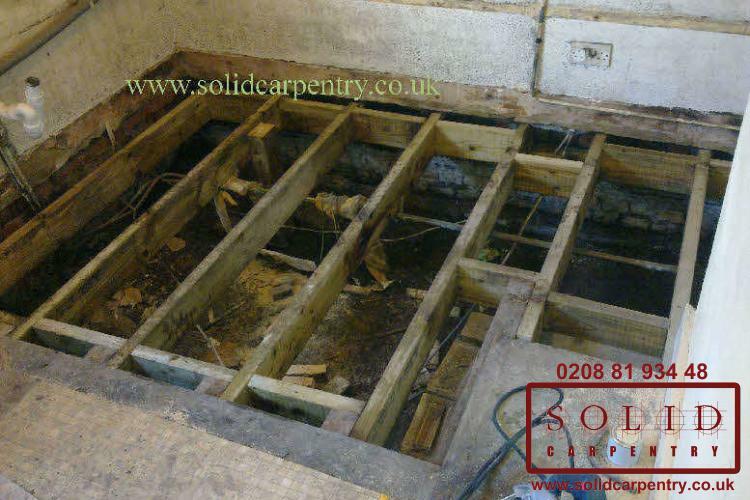 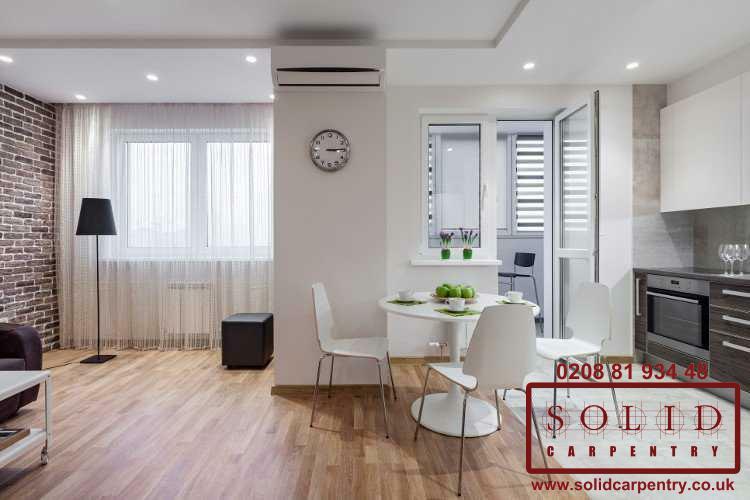 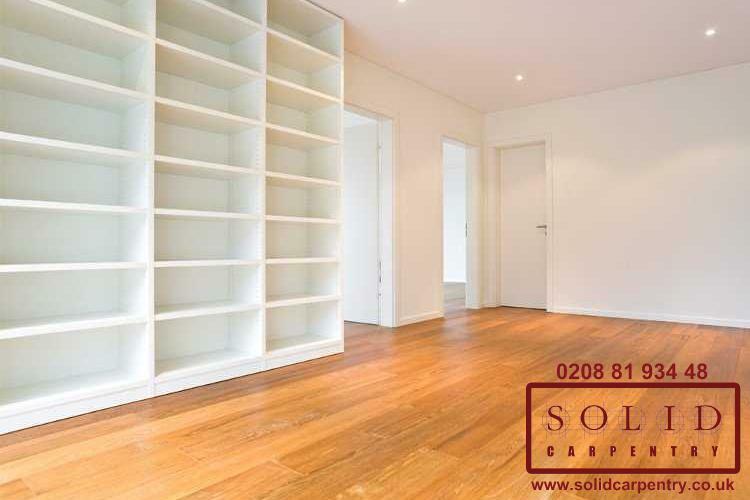 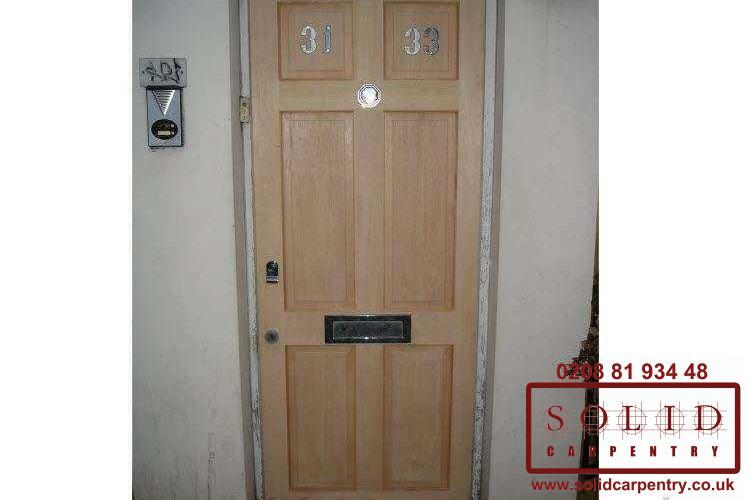 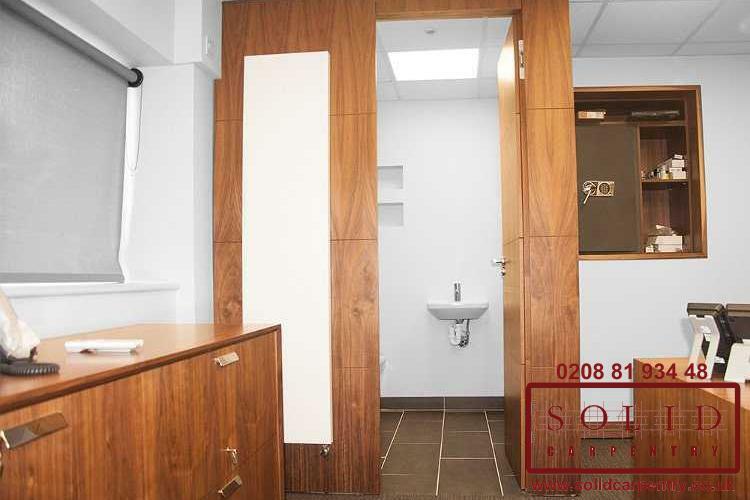 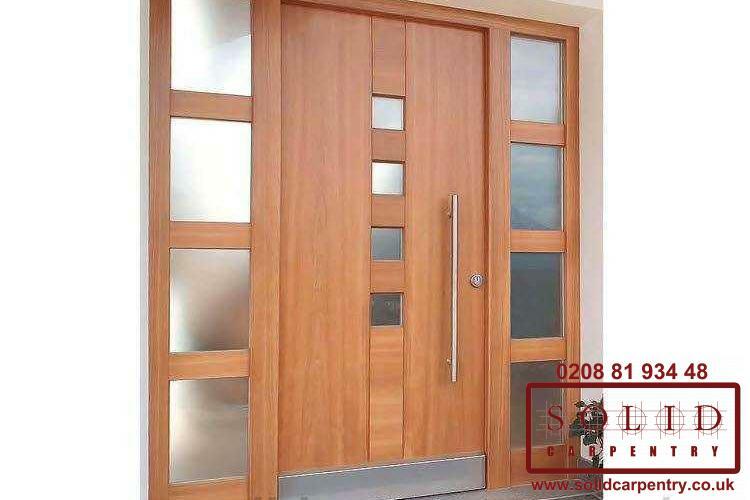 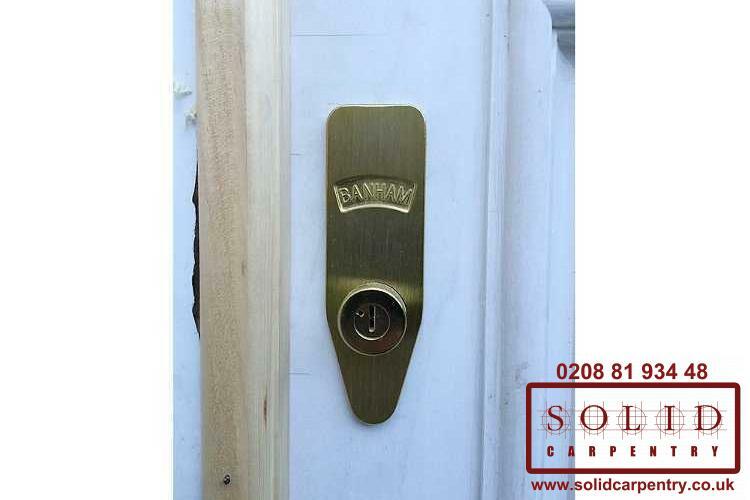 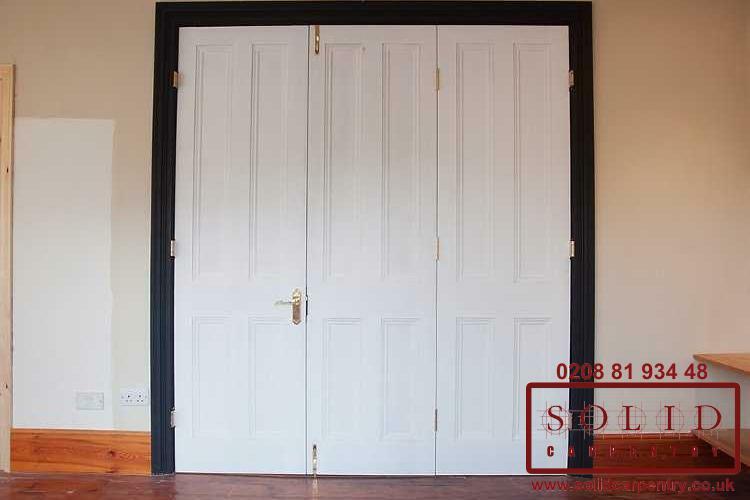 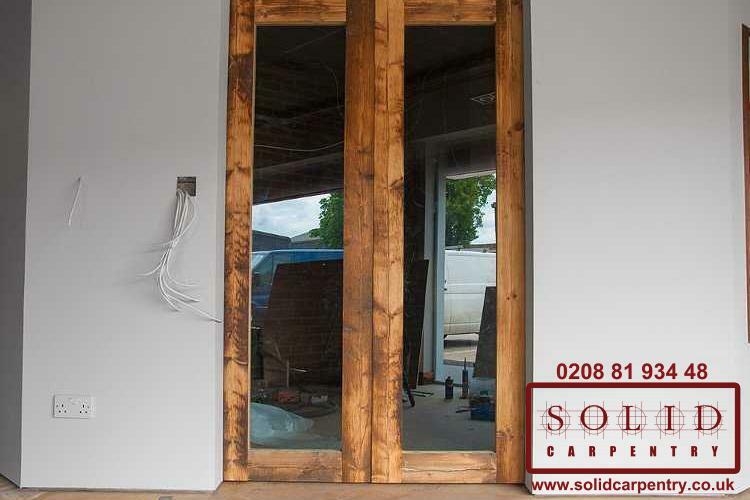 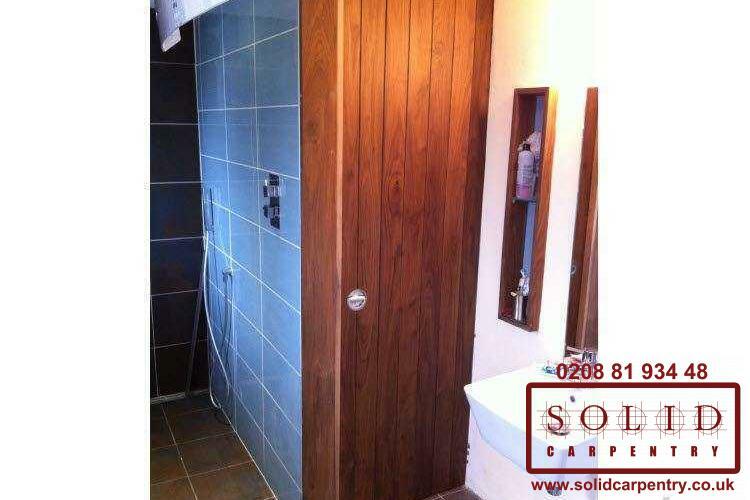 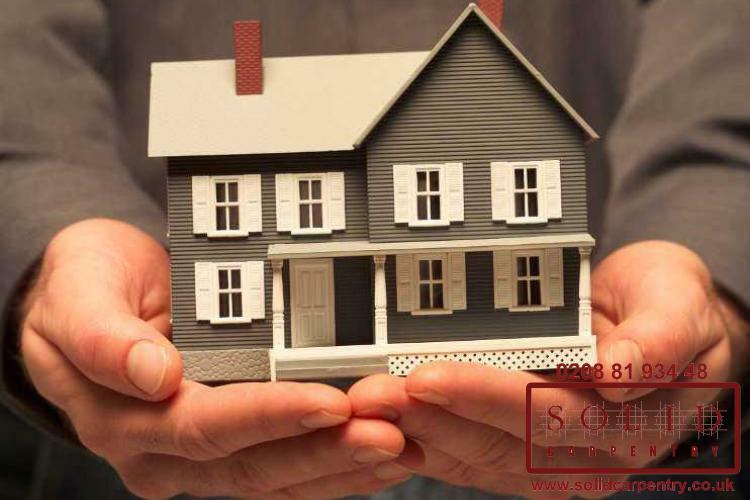 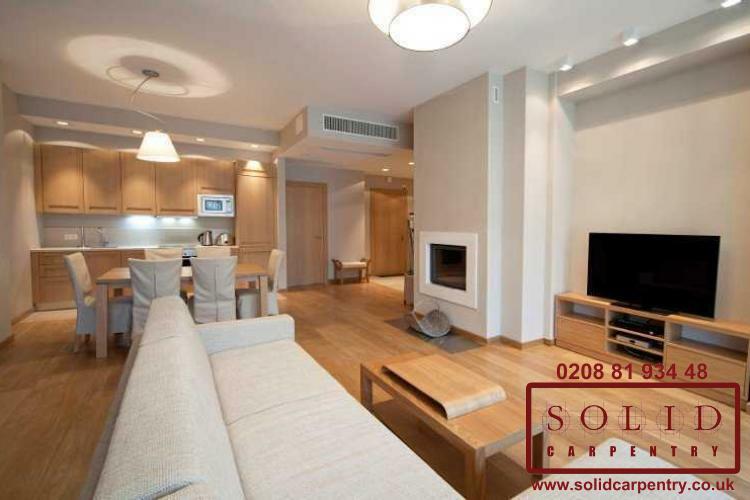 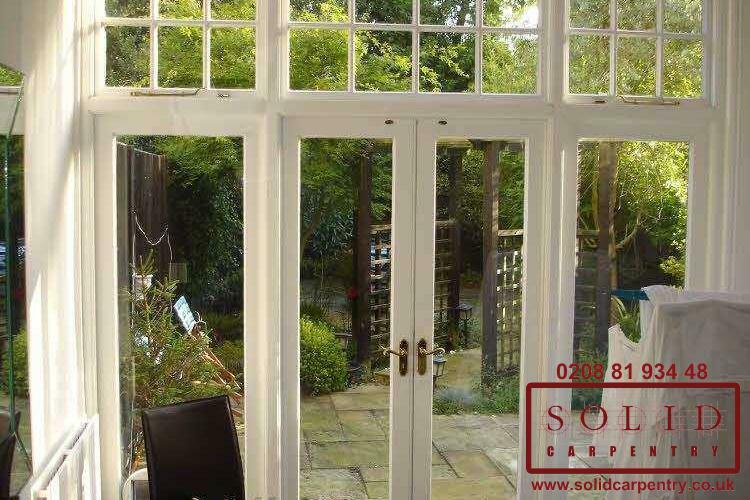 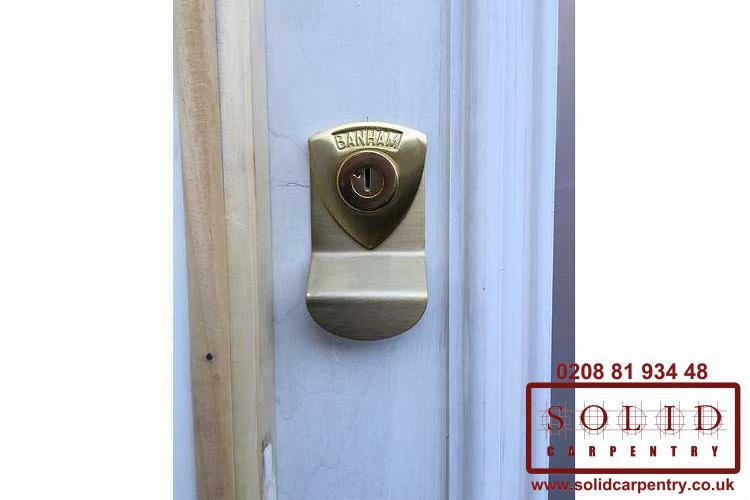 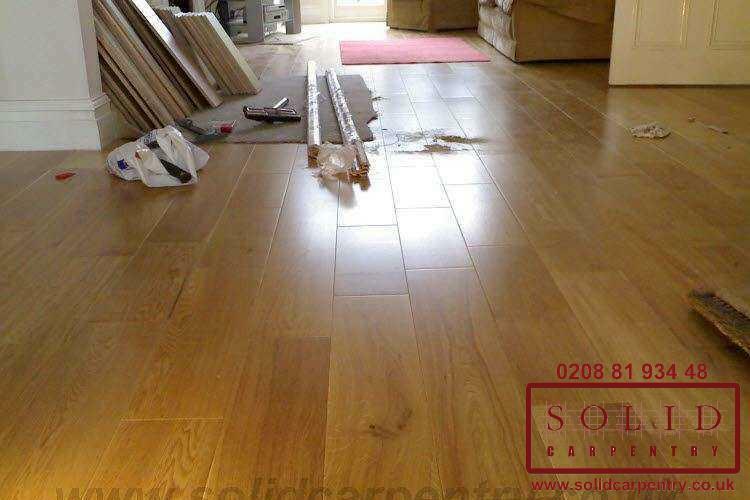 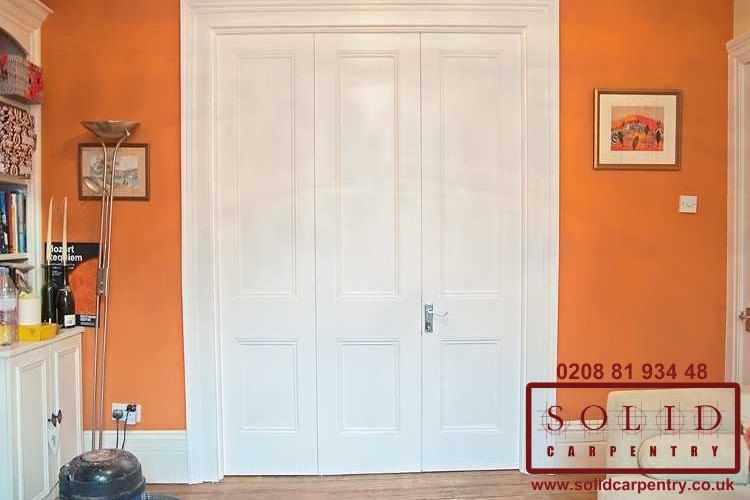 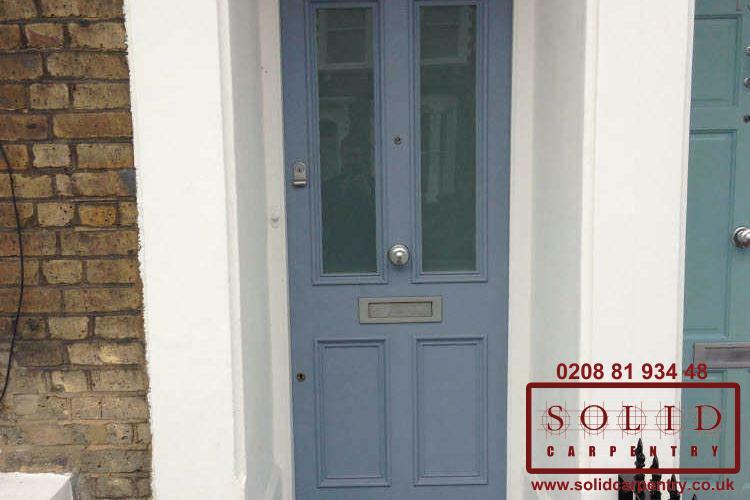 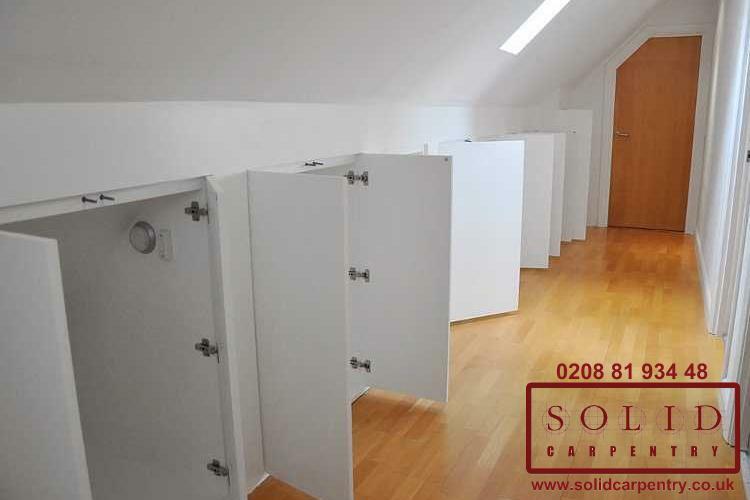 At Solid Carpentry, we stay abreast of the latest developments in carpentry solutions. 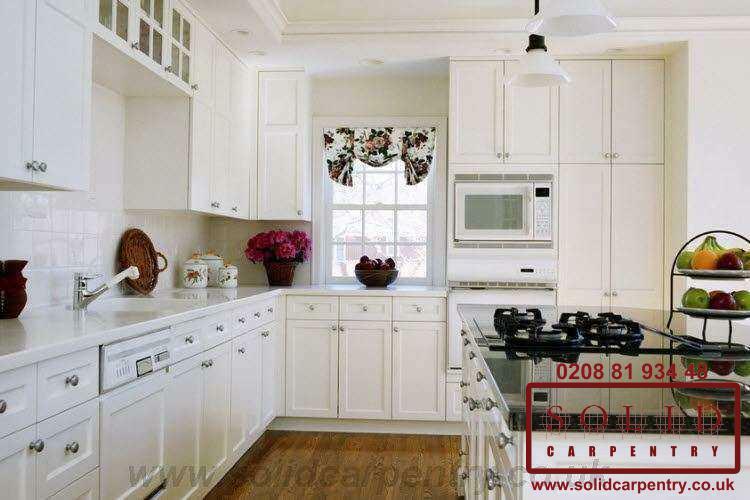 Our kitchens cover the latest trends and concepts: from contemporary to traditional country designs and more. 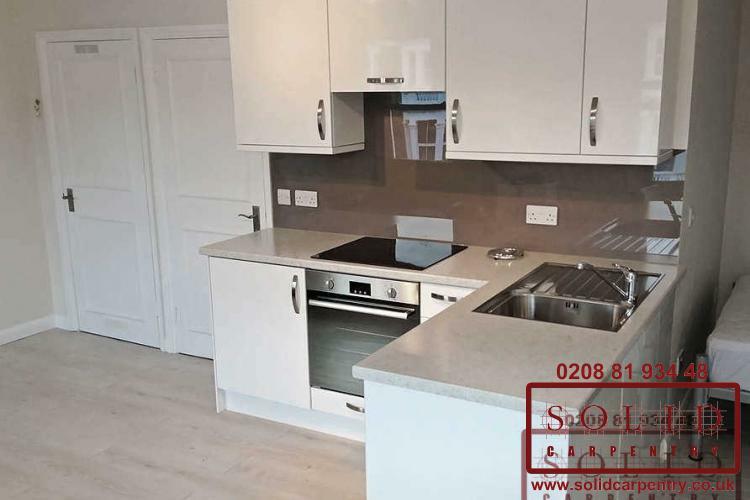 Customers can take advantage of using our related plumbing and electrical installation services: any gas or electrical kitchen appliance installation will be accompanied with ‘Gas Safety Certificate’ or ‘NAPIT Electrical Installation Certificate’ accordingly. 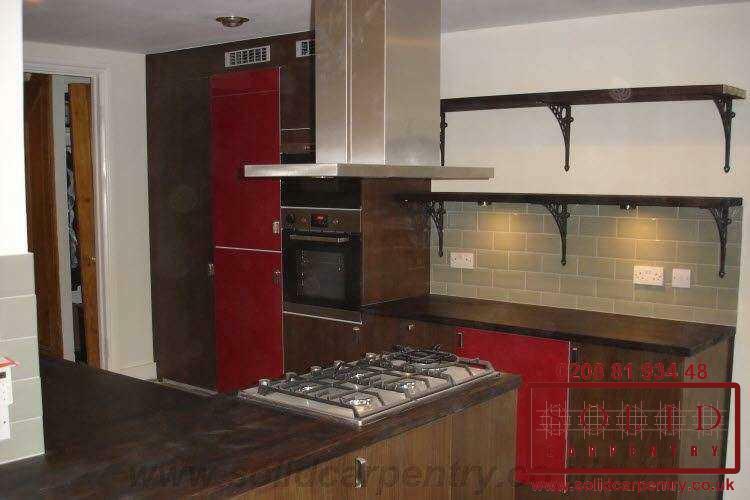 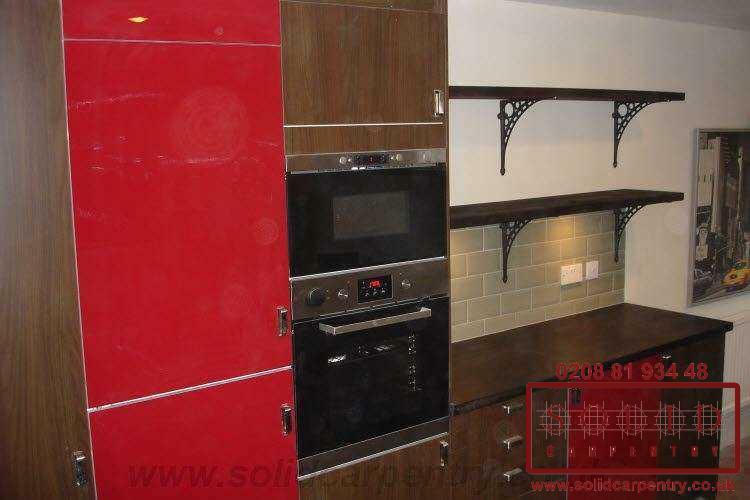 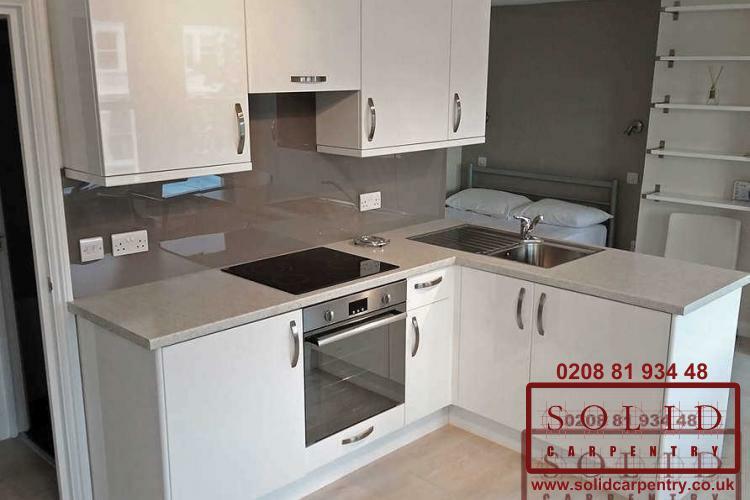 Once your kitchen has been installed we can also arrange tiling and decoration. 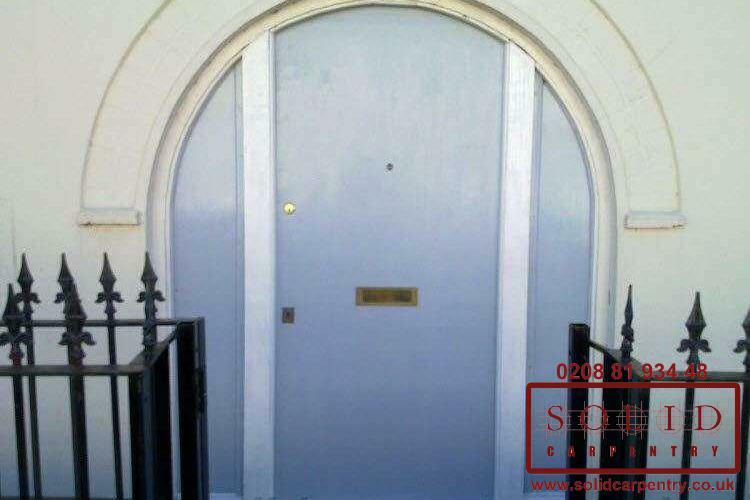 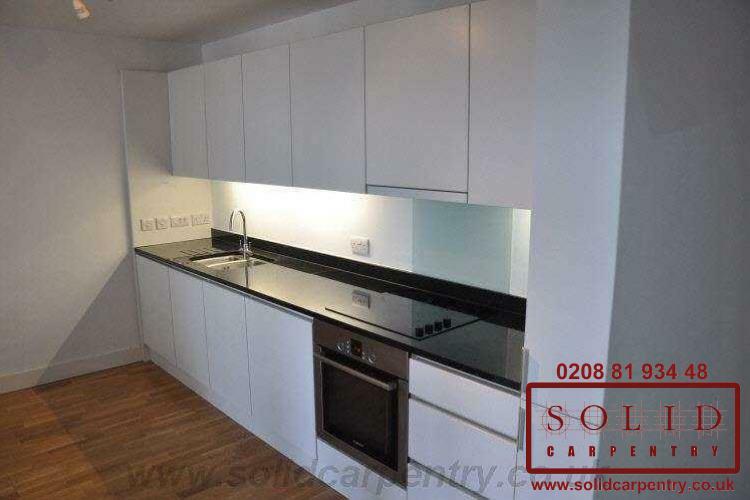 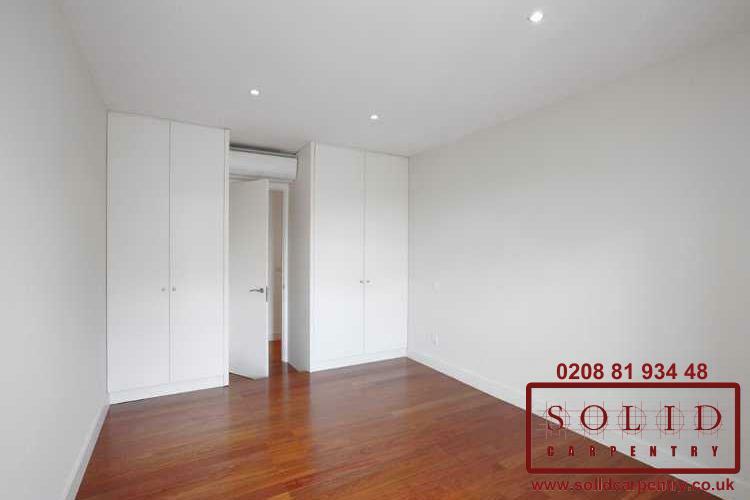 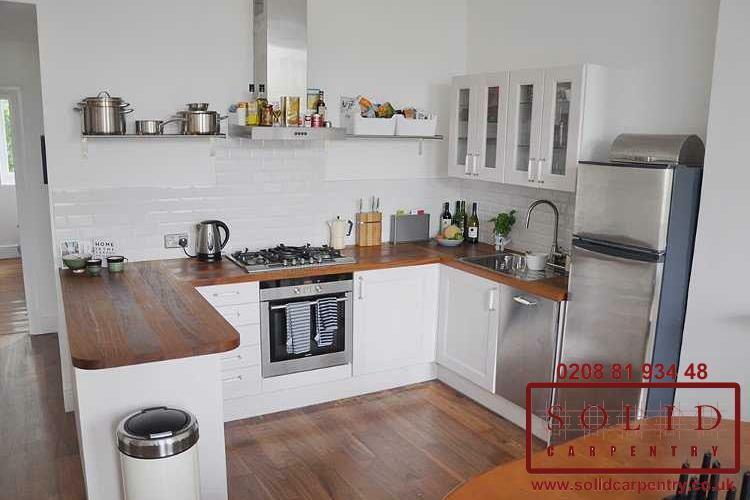 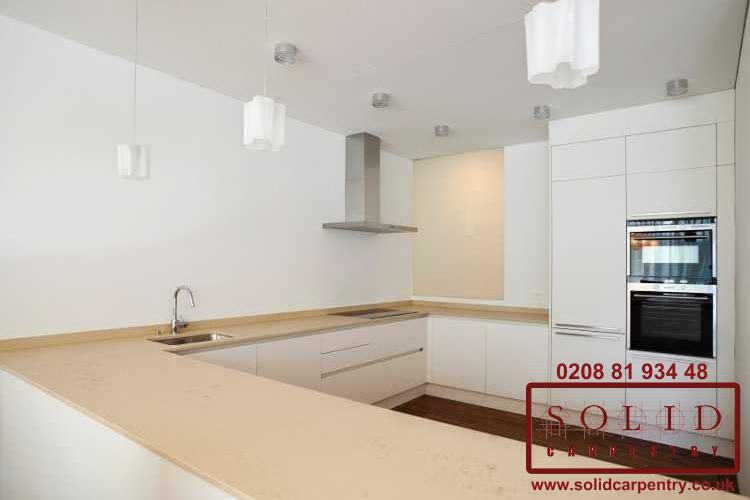 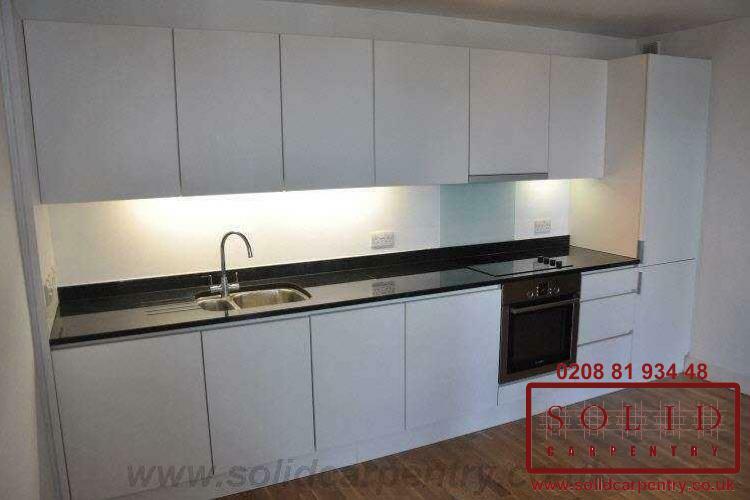 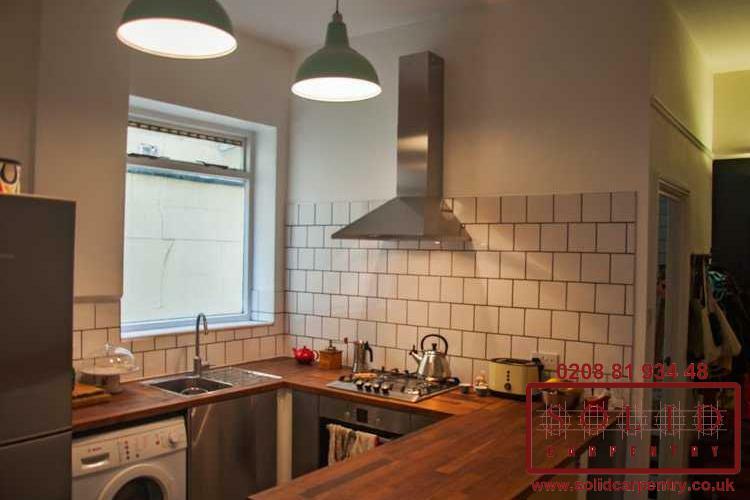 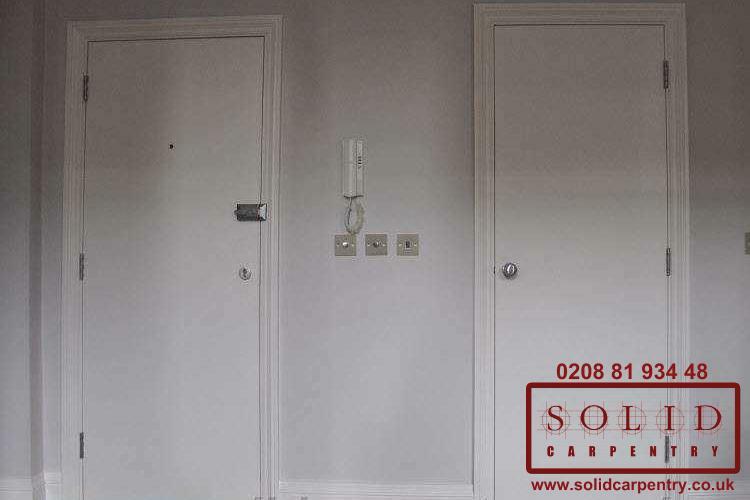 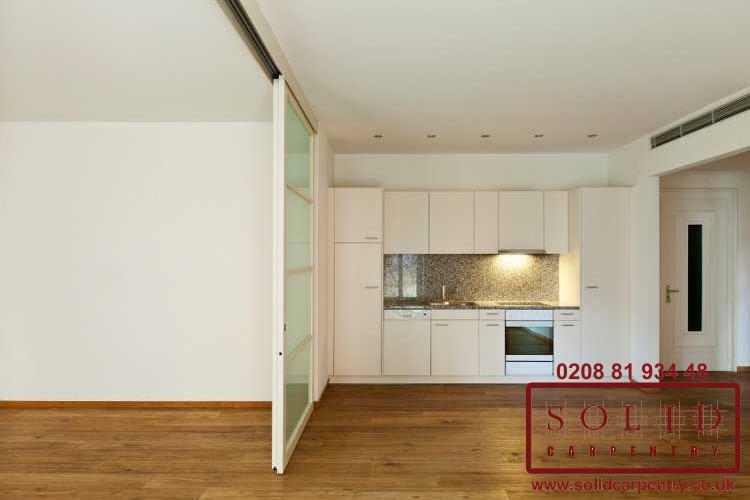 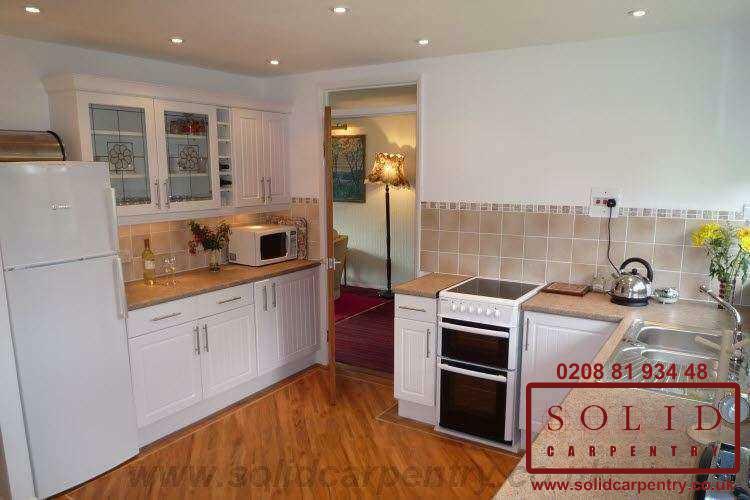 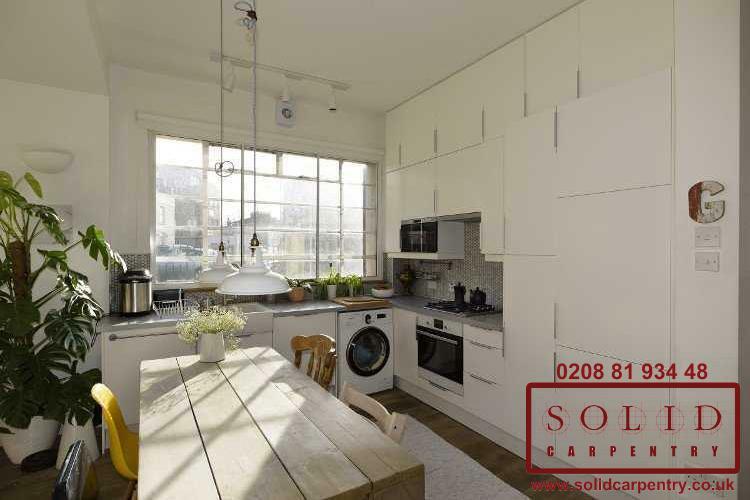 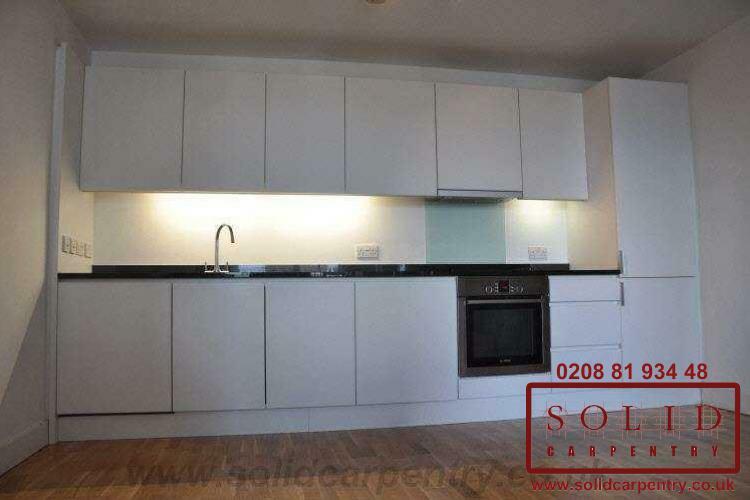 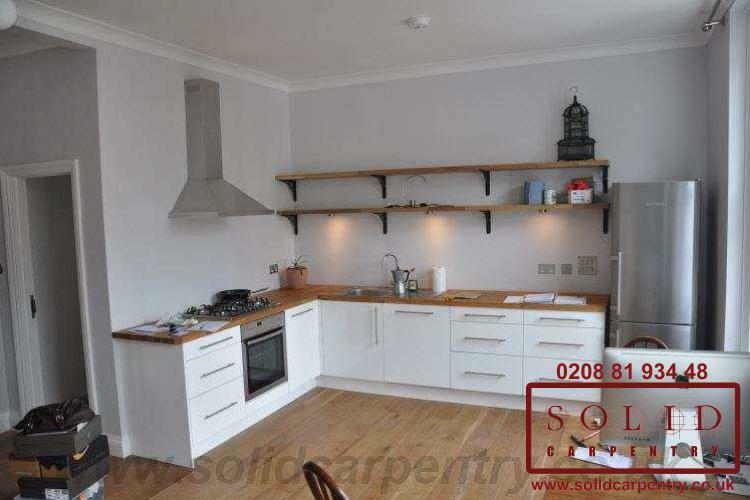 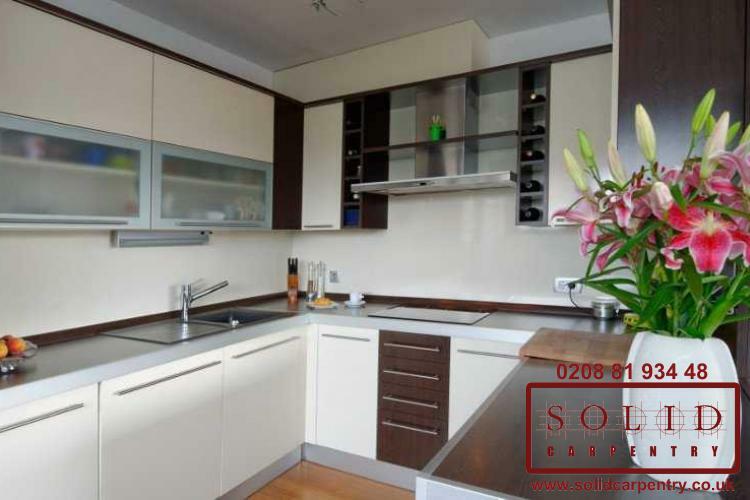 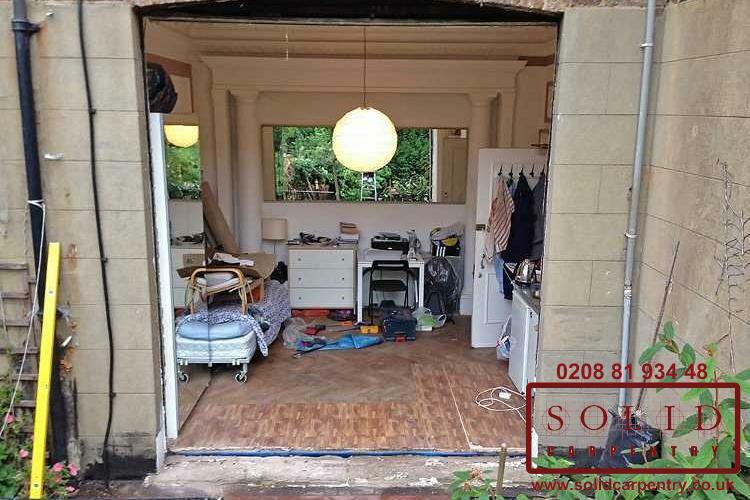 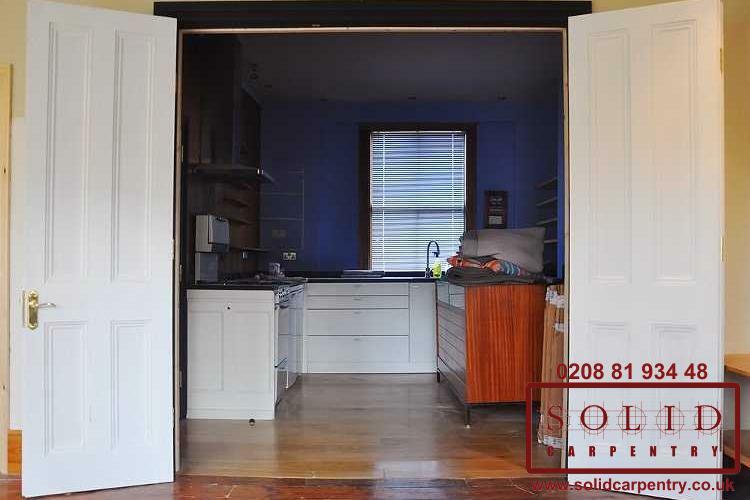 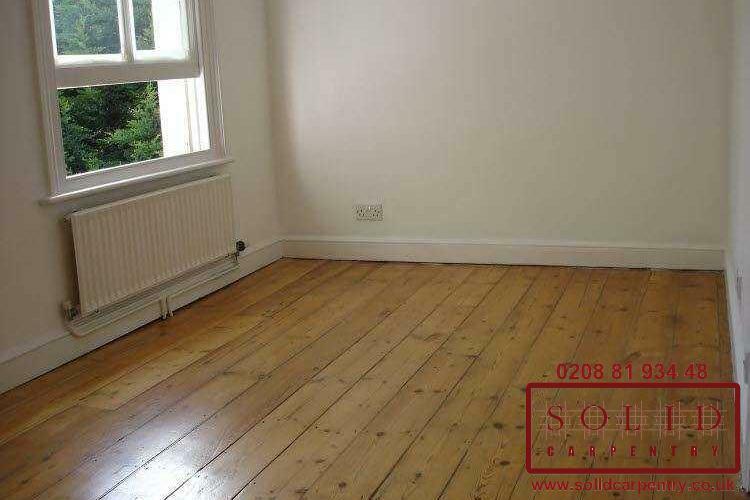 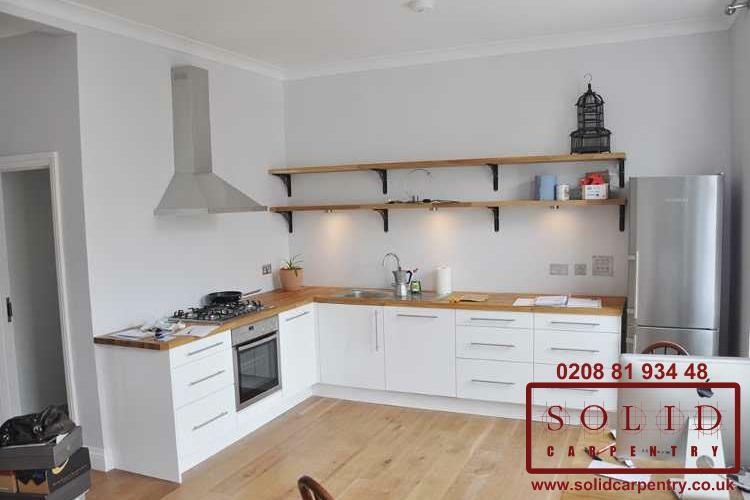 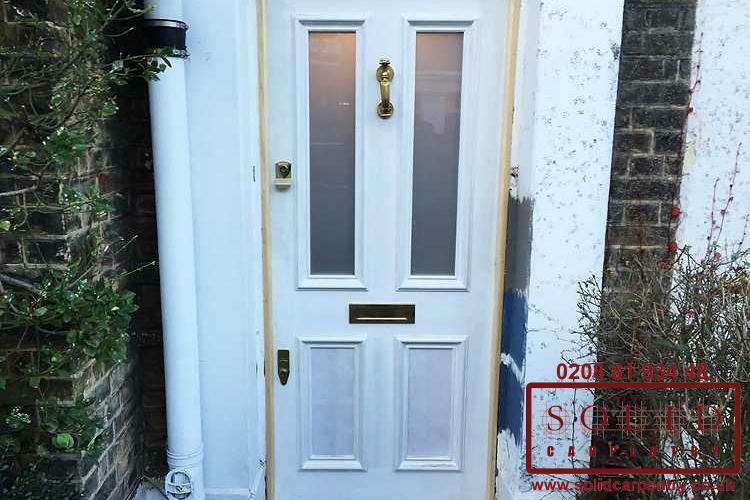 Our kitchen fitters operate across London and the surrounding area. 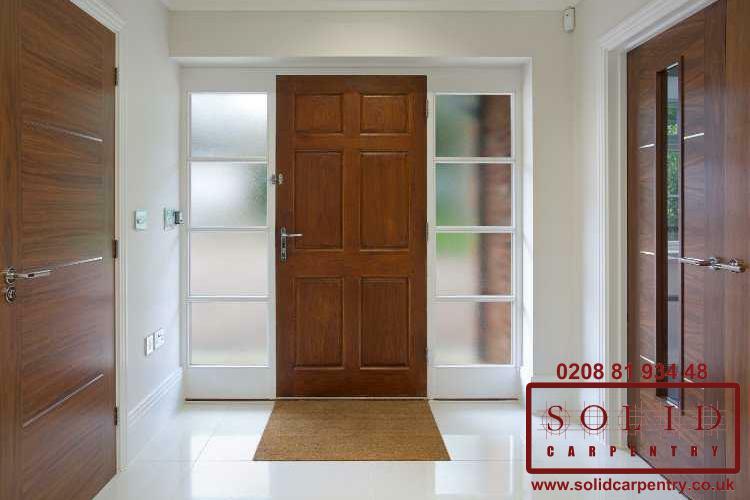 To see examples of our work, please take a look at our portfolio and be sure to visit the reviews page to read what others have to say about us. 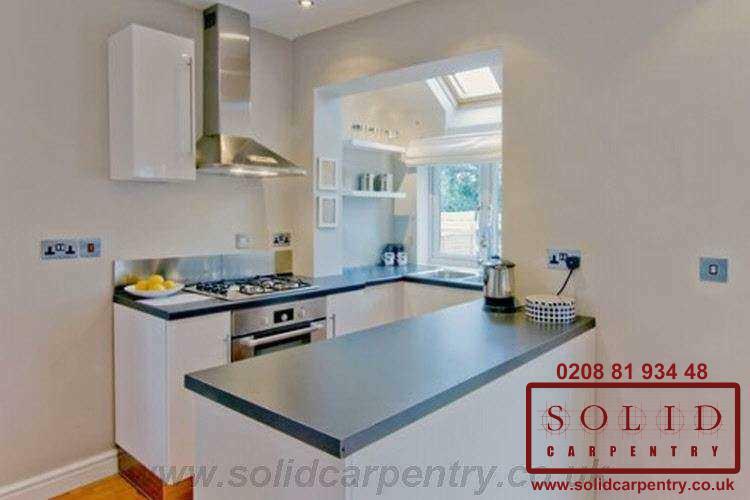 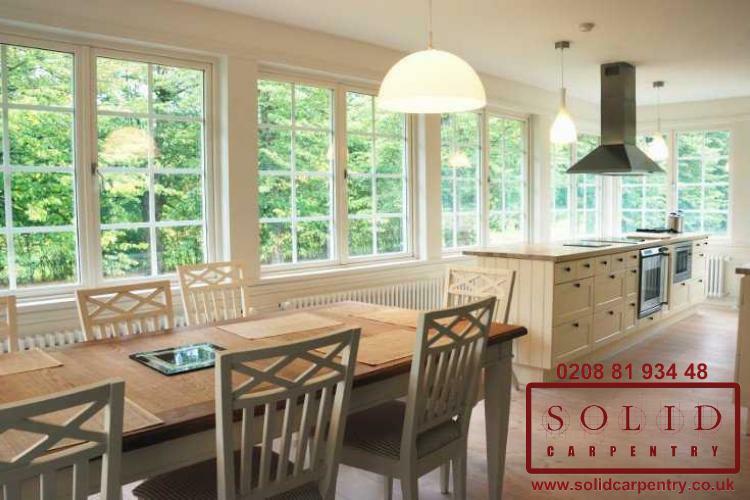 From day one, the team at Solid Carpentry will work with you to create, fit and install your dream kitchen. 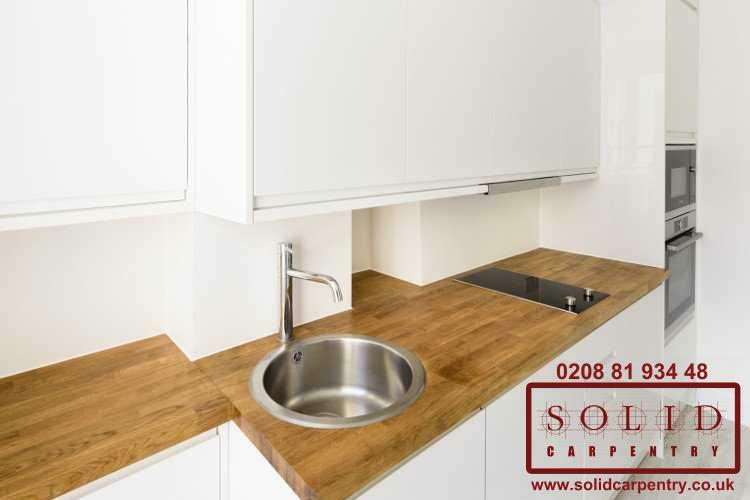 To discuss your ideas, contact us today for a no-obligation kitchen fitting and installation quote.